Blogging is hard work. If you’re a blogger (or ever have been), I’m sure you agree with that statement. One blog post typically includes images, graphics, writing, editing, social media, SEO, and of course, inspiration. That’s a lot of moving parts! When you land on someone’s blog, you’re there because you’re interested in reading the content. But, if the background is busy, the side bar is full of ads, the text is hard to read, and there’s too many fonts being used…the odds are, you’re not going to stick around, right? The way that your blog is designed is absolutely crucial to the extent of which people are going to want to read your blog, which is why you should put maximum effort into the setup of your blog. This starts with your website hosting provider, because if you want to have a successful blog, all of the necessary parts need to be put in place well before you write your first post. People think it is easy turning your blog into a success or even having a blog at all. It is a fun and creative way of eventually making an income (if this is your goal), but there is a lot of aspects behind it, like looking into something like web hosting canada reviews to assist you in making the choice of finding the right web provider to help get your website running. Plus, most importantly, live for people to engage in. There are a lot of things to consider, which is why it is important to do your research before venturing into something like this, no matter how “easy” you may think the social media/blogging industry is. When you look at some of the “big” blogs, like Song of Style, M loves M and Suburban Faux Pas, you’ll notice they all have a clean, sleek design. This isn’t a coincidence. The white backgrounds, contrasting text and large images ensures that the focus is their content. One of my biggest pet peeves on any website are pop-ups. I can’t stand when I land on someone’s blog, only to be bombarded with ads popping up everywhere. These distractions don’t make for an enjoyable user experience. There’s actually some blogs that I’ve stopped reading, because the pop-ups (and corresponding slow page-load speed) got on my nerves! The only kind of pop-up that you should consider having on your blog is an email sign-up. That said, make sure to set it up so that the pop-up doesn’t appear until a certain point in the user’s experience. For instance, you can set your email sign-up notification to pop up when the reader has scrolled to a certain point on the page. If the pop-up appears as soon as someone lands on your blog, they haven’t had enough time to fall in love with your content…so they don’t know if they want to sign up yet. Let me start by saying, I’m still making this blogging mistake. I’ve been doing a lot of reading about why you should start building an email list, but I haven’t created one (yet). Eep! If you’re thinking of starting an email list, or you have one and don’t know what to do with it, there’s so many great resources out there to help. Check out this article, outlining 10 things you can send to email subscribers. In my opinion, this is one of the biggest blogging mistakes to avoid. After all, there’s more to a blog post than a few images and affiliate links. If you want to rank in a Google search, each blog post should be at least 300 words in length. There are a number of reasons as to why post length is important for SEO, but ultimately, it just gives you more opportunity to include keywords. 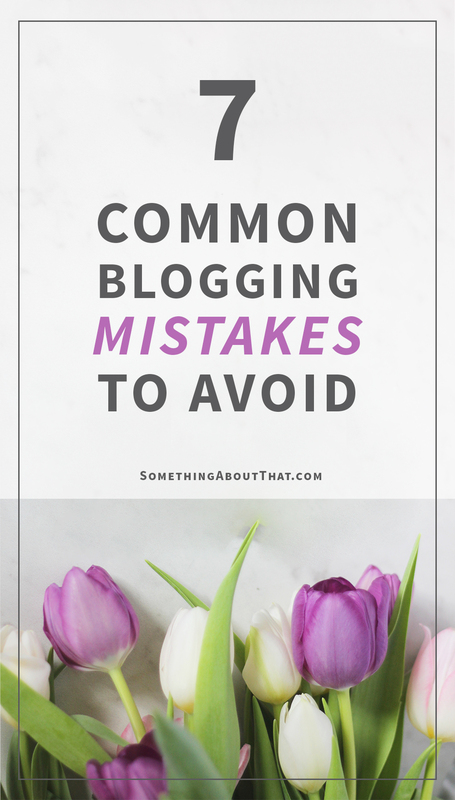 Ahem – this is why I’ve mentioned the phrase blogging mistakes to avoid a number of times in this post. If you want to do more reading on the subject, Yoast gives a great explanation about how long a blog post should be. This is a tough one for bloggers and their readers alike. Here’s the deal. Blogging has become a huge marketing tool for brands. I’m sure you’ve all heard of influencer marketing. This is a new phenomenon, brought to life through the popularity of blogging and social media. Pretty neat, don’t you think? Whether blogging is a hobby or a full-time gig, there’s countless ways to make money as a style blogger. There’s even more ways to make money as a food blogger, travel blogger, and well…any kind of blogger, really. Where does this become one of the common blogging mistakes to avoid? It’s when every.single.post is sponsored. Granted, there’s no question that bloggers deserve to be paid for their work, but it’s all about balance. If every post is sponsored, you won’t be doing much to gain the trust of your readers. How will they know what you really think? Like so many things in life, it’s all about moderation. I can’t tell you how many times I’ve come across a great blog post, that I wanted to share, but couldn’t figure out how. Don’t make it difficult to share your content! 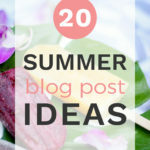 After all, the hope with any blog post is that people will love it, connect with it, and share it. Hint – you should totally share this post. And while you’re at it, you should read and share my post about how to use Instagram Stories vs. Snapchat Stories! Make sure to have social media share buttons at the top or bottom of your post. Also, you need a ‘Pin it’ button! If you’re not sure how to make those buttons appear, this article explains how to add a custom pin-it button on a WordPress blog. It’s easy! Whether you blog full-time or part-time, life is busy. I get it. It can be incredibly difficult to respond to every single comment that you get on your blog (and social media). One of the biggest blogging mistakes to avoid is not showing your readers that you appreciate them. Make sure to respond to meaningful comments, and reciprocate by reading and commenting on other people’s blogs. Not only does this encourage people to engage with your content, but it also helps you build relationships with other bloggers. 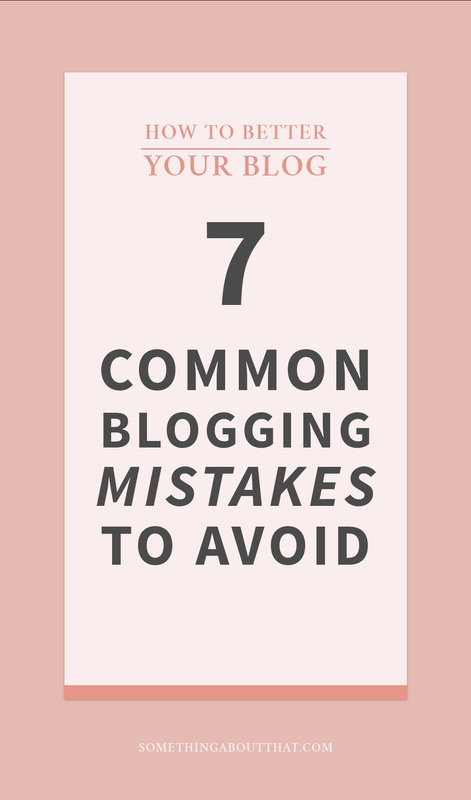 Thank you for reading – I hope this round-up of common blogging mistakes to avoid will help you improve your blog. Also, I really love to write about blogging. Are you into these posts? Let me know if you want to see more of them! These are amazing tips that I will definitely consider in the future. I like how you said to not have a busy side bar on your blog and it truly is distracting to be reading blogs when it is so busy! I will definitely keep in mind the more words in my blog posts I never thought about it like that! Thanks! All the pop ups drive me nuts!! I don’t have an email list though. Totally should. Good tips! So, I’m really struggling with the sponsored posts. I say no to a lot of garbage that I refuse to promote on my blog, but get a ton of stuff that I love and want to promote. I looked back at my blog and I was ashamed that the bulk of my posts over the past two months have all been sponsored. I’m actively trying to change that by getting back to my creative writing roots. Ok – you aren’t alone with not having an email list! I don’t have one either and know I have to start! LOL! This was a really informative read – thank you! It’s really a difficult balance. I’m finding this too. I say no to a lot as well. I think we all do, right? I try to mix up sponsored and posts like these too, but depending on what’s coming down the pipe, it can be hard. I feel like a lot of us are in the same boat with the email lists!! This was so informative! I’m looking into setting up an email list now. Thanks for writing this! Such a great post! There are SO many moving parts to having a blog it’s crazy! It gets stressful to keep up with it all, but I think engagement is one of the most important parts!! I’m so glad you think so! 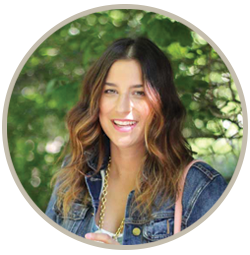 I love reading up on blogging tips, because there’s always more to know. I just love reading this! Great tips and so true! Thank you! Great tips! Pop-ups on blog annoy me as well, especially when I cannot find a way to close them. I think the best bloggers exercise a balance of content and sponsorship and ads. Having too many pop-ups on a par is one of my biggest pet peeves! I’ve been thinking about making a mail list lately too!! Each line, I ket saying ‘yes’ to myself. I couldn’t agree more with this post. Although, I am with that I still need to work on my email list. Eeeekkkk!! If you come up with the best way to approaching this, let me know haha! I Great post Jackie! I’ve yet to figure out how…but I will have to share if/when I do. I just don’t want to do it until I have a reason, you know? These are all so fab! I love a clean looking blog. Back when I first started blogging, everyone had dark sites with music popups. So happy those days are gone — for the most part. Great post! I’ve been meaning to start an email list as well. One common mistake is not having actual relevant posts at the bottom of your posts 😉 I make over $100K a year with my blog and I don’t have a list, so not essential at all. I would say, knowing your target audience is the most important thing. Ohhh, that’s so true! I will have to edit the post and add that one it…or save it for next time. Anything to continue to hook engaged readers. These are all wonderful tips. I completely agree with the engagement aspect as well. When someone asks you a question in the comment section it’s SO important to respond. Great post! It was very well thought-out. I’m so glad you enjoyed the post. UGHHHH I can’t stand when people ignore questions on a regular basis. I understand that it happens from time-to-time, but you should always feel like your comments are being acknowledged and appreciated. Great advice, I so agree especially about obnoxious pop ups! Oh my god the pop ups drive me freaking INSANE! They make me want to instantly not be on the page! Right?! I can’t understand why or how anyone thinks those are a good idea! 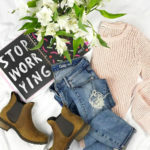 This list is so helpful – especially the “not enough text” in your posts, I’m only guilty of that because I don’t want anyone to read my rambling sentences and risk something selling out, but it’s def something to work on, that and keeping up with my blog lol. Thank you for sharing such valuable tips. Liked the points discussed here. I’d like to add that constantly changing things is a big mistake. Changing platforms, domain, programming language, design everything and making a ton of breaking changes, creates confusion for visitors and search engines as well. I’d like to share an article: (www.infographicdesignteam.com/blog/3-mistakes-the-writers-make-while-writing-blog-or-articles/), which too discusses on blogging blunders. I’m sure you’ll find it interesting! Yes, that is such a great point to add! Thank you for sharing!